If you are in need of a residential appraisal, located within the Phoenix Metropolitan Area or within Maricopa and Pinal counties Arizona, you have come to the right place! 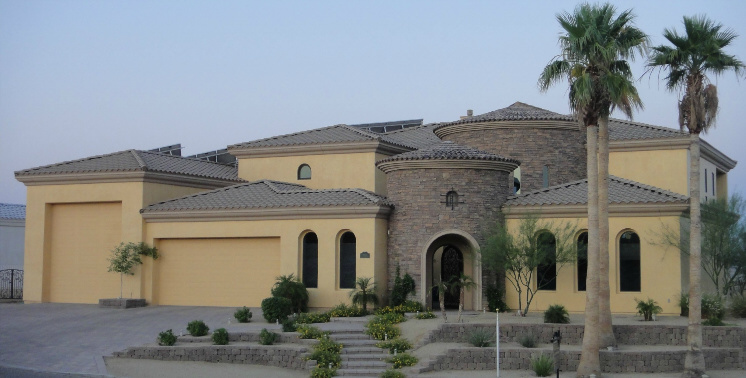 You want and deserve a Phoenix appraiser that will deliver a high quality appraisal to you on time. If you are seeking lender appraisals, whether it is for purchases, refinances or equity lines of credit, your goal is ultimately to receive approval and have the loan funded. In our current lending environment, you know this will only happen if a high-quality appraisal is delivered to the underwriter. Prior to starting my own company I was a Senior Review appraiser for Washington Mutual. I have had the fortunate experience of working on the “inside” next to underwriters so I clearly understand their expectations. This higher level of training will be reflected within the appraisal and will directly benefit you and your client. My appraisals are fully supported and contain sufficient sales and analysis to satisfy even your toughest underwriters. If they do happen to need something extra you can count on our prompt attention to resolve their needs. If you are a private party, you may be seeking appraisals for a sale by owner (FSBO), divorce, estate, or PMI removal. Or perhaps you would like an unbiased opinion of value on a property that you are considering purchasing. Let me provide you with a quality appraisal that can be relied upon. You need an experienced appraiser on your side for all of these service types. My fees are reasonable and I do provide discounts for private party appraisals. If you are a real estate agent, please consider the benefits of ordering a listing appraisal for your clients. We carefully analyze recently closed sales, listing and pending sales that directly compete with your property. In addition, we are also paying attention to how long the comparables have been listed. Your client likely wants the property sold within a specific period of time so we can provide you with a value opinion specific to that marketing period. Help melt the stress away from prospective buyers when you show them an unbiased appraisal. Your clients will also appreciate your due diligence in helping them achieve their goals. Products offered include URAR appraisals with or without cost approach , 2055 exteriors , condominiums, FHA , 2075 Drive-by , 2-4 unit , residential lots and acreage, Certification of completion, Rental surveys Form 1007 , Operating Income Form 216 , Technical reviews , Field reviews , and high value custom home appraisals. Copyright © 2015. Sheridan Appraisal Services. All Rights Reserved.